I had a good time with your family. Yesterday we went out for Mexican after I got off work. Jim took out the two dying crabapple trees and replaced the posts the bird feeders were on, and Irene did some work in my flower beds. The house looks so different without those two trees. I'm debating about new ones. I'll probably just have to go across the street, sit in DeWayne's yard, and stare at the house for a while to make up my mind. Today we all went to Shipshewana for a play day, and had a lovely time. They left for home this afternoon. I enjoyed their visit so much. I appreciate their help more than I can say, but I enjoy the time with them even more. I may have said this a time or two: Thank you for having such a nice family. I am so, so tired now. And I can enjoy being tired in a clean house that has no dead trees in the yard. Tomorrow I'm going to sleep in and do as little as possible. I have one load of laundry to do. And there are always socks to knit! I have eleven pairs to make for Christmas. I have a good start, with 3 1/2 socks done. I've always loved knitting socks. There's infinite variety within a fairly fixed structure. And they are small and portable. It's so interesting to knit socks in public. Half the people come closer, are fascinated, and ask you a hundred questions. The other half move as far away as possible and look at you as if you're an escapee from a lunatic asylum. 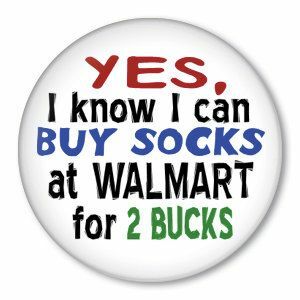 And many of us have had strangers come up and inform us that socks can be bought in stores. I'm glad you understood the point of making socks. You enjoyed wearing them and watching me make them. You realized that I have a need to create beautiful things, and you supported that. You enabled my yarn addiction, bless you! I'm starting to ramble again. To sum up: I've had a lovely weekend. I'm exhausted and will knit and sleep tomorrow, hopefully sequentially and not simultaneously. And I'll miss you, but that is no different from any other day.